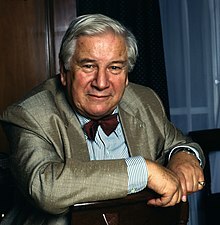 Sir Peter Alexander Ustinov, CBE FRSA (16 April 1921 – 18 March 2004), born Peter Alexander von Ustinov, was an Academy Award-winning English actor, writer, dramatist and raconteur. To be gentle, tolerant, wise and reasonable requires a goodly portion of toughness. There is no question but that if JesusChrist, or a great prophet from another religion, were to come back today, he would find it virtually impossible to convince anyone of his credentials despite the fact that the vast evangelical machine on American television is predicated on His imminent return among us sinners. Variant: People who reach the top of the tree are only those who haven't got the qualifications to detain them at the bottom. I hate being moved. I hate that man who came in. So self-righteous, so cruel. He made fun of me, that's why I cried. You never did that. You led me into temptation by your — politeness. As quoted in The Observer (21 October 1968); a punctuation variant occurs in some publications: "If Botticelli were alive today, he'd be working for Vogue." As quoted in Who Said That? (1984) by Renie Gee. It is unfortunate for all that no moral issue has ever been clearer. Any attempt to plea-bargain with outlaws and renegades will only be at the expense of honor, decency and self-respect. The Serbs, are two-dimensional people with a craving for simplicity and an ideology so basic it can be understood without effort. They need enemies, not friends, to focus their two-dimensional ideas. Life for them is a simple tune, never an orchestration, or even a pleasant harmony. Animals make use of their resources with far greater felicity than these retorted creatures, whose subscription to the human race is well in arrears. Achtung! Vorurteile (2003); original German: "Der Terrorismus, der im furchtbaren 11. September kulminierte, ist ein Krieg der Armen gegen die Reichen. Der Krieg ist ein Terrorismus der Reichen gegen die Armen." typically cited in short: "Terrorismus ist der Krieg der Armen und der Krieg ist der Terrorismus der Reichen." I have Russian, German, Spanish, Italian, French and Ethiopian blood in my veins. As quoted in TIME magazine obituary, (5 April 2004), p. 22, which noted that his great-grandfather had married the Princess of Ethiopia. I'm Rally of Unionist Separist Extremes, sometimes known as the R.U.S.E. … It's the party at present in power. The only one who's always punctual is Death … whatever the time he always strikes his knell at the first streak of dawn … and believe me, he knows what he's doing. How I hate the dawn! It's the hour of the firing squad. The last glass of brandy. The ultimate cigarette. The final wish. All the hideously calculated hypocrisy of men when they commit a murder in the name of justice. Then it's the time of death on a grander scale, the hour of the great offenses … fix your bayonets boys …gentlemen, synchronize your watches … in ten seconds time the barrage starts … a thousand men are destined to die in order to capture a farmhouse no one has lived in for years... And finally dawn is the herald of the day, our twelve hours of unimportance, when we have to cede to the pressures of the powers, smile at people we have every reason but expediency to detest … A diplomat these days is nothing but a head-waiter who's allowed to sit down occasionally. 2nd Soldier: Do you mean that, as a General, you're not the tiniest bit ambitious for our military future? General: I prefer our military past. The harm's done and there it is. As for being a General, well, at the age of four with paper hats and wooden swords, we're all Generals. Only some of us never grow out of it. Good-bye to you too ol' Rights of Man! It's hot. And there's a lot of it. I like everything about it except the flavor. Bill Budd, on the ship's gruel. Flogging. The only solution to every problem. I warrant even the culprit himself doesn't know! It was just — his turn! It's wrong to flog a man. It's against his being a man. The sea is calm you said. Peaceful. Calm above, but below a world of gliding monsters preying on their fellows. Murderers, all of them. Only the strongest teeth survive. And who's to tell me it's any different here on board, or yonder on dry land. Lieutenant Seymour: Wyatt, we do not deal with justice here, but with the law. Lieutenant Wyatt: Was not the one conceived to serve the other? I'd rather be buried at sea than on the shore when I come to die. Will you stand by the plank, mates, so I can shake a friendly hand before I sink? Claggert: We must serve the law, sir, or give up the right and privilege of service. It is only within that law that we may use our discretions according to our rank. Captain Vere: You're so intelligent and so lucid for the rank you hold, Master At Arms. Claggert: I thank you, sir. Captain Vere: Yes, that's no flattery, Mr. Claggart. It's a melancholy fact. It's sad to see such qualities of mind bent to such a sorry purpose. What's the reason for it? Claggert: I am what I am, sir. And what the world has made me. Captain Vere: The world? The world demands that behind every peacemaker there be the gun, the gallows, the jail. Do you think it will always be so? Claggert: I have no reason not to, sir. Captain Vere: You live without hope? Captain Vere: But remember, Mr. Claggart, that even the man who wields the whip cannot defy the code we must obey and not be broken by it. That will be all. Billy Budd: You didn't even hate him. I think that sometimes you hate yourself. I was thinking, sir, the nights are lonely. Perhaps I could talk with you between watches when you've nothing else to do. Claggert: Lonely. What do you know of loneliness? Billy Budd: Them's alone that want to be. Claggert: Nights are long. Conversation helps pass the time. Billy Budd: Can I talk to you again, then? It would mean a lot to me. Claggert: Perhaps to me, too. [His expression suddenly sours] Oh, no. You would charm me too, huh? Get away. I am just a man, not fit to do the work of God... or the Devil. Once we are destined to live out our lives in the prison of our mind, our one duty is to furnish it well. To all those who by accident or design, have not been included in this book. I was irrevocably betrothed to laughter, the sound of which has always seemed to me the most civilized music in the world. Life was cheap in the Middle Ages. It has become cheaper since. It is only in specific battles for specific lives that our culture is put to the test, and with it our humanity. I am an optimist, unrepentant and militant. After all, in order not to be a fool, an optimist must know what a sad place the world can be. It is only the pessimist who finds this out anew every day. We have fought two wars to end war. In 1976, the nations of this world set aside the same amount of money for its starving children as the lavished on armaments every two hours. Can any right-minded man afford to be a pessimist? That was a luxury for easier days. He had a great sense of the good in people. He enjoyed the peculiarities that were part of humanity. … Filming can be desperately boring and he was always telling fantastic stories and being tremendously entertaining. He was a superb raconteur — never vicious, never cruel. Sir Peter had a magical way with children and an inimitable way of making their problems matter to people all over the world. He was one of UNICEF’s most effective and beloved partners, a man who exemplified the idea that one person can make a world of difference. … There are few parts of the globe where Sir Peter did not travel to meet with and advocate for children, and few communities that were not made better by his attention. He said, "I can't live in a world devoid of love." But can you spare a word for me? I saw you in The Mouse that Roared." "That was Peter Sellers, my dear. The innocent no one could save?" It was as if all the world's wit were rolled into one portly fellow. … He spoke six languages, and a few others of his own comic invention. With gifts too wide-ranging to be contained in one art form, he wrote hit plays (Romanoff and Juliet) and books of nonfiction and short stories. 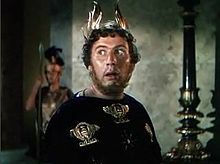 … His spirit was essentially impish (as on a comedy album for which he provided all the voices and sound effects); his greatest role was Peter Ustinov, inexhaustible raconteur. The title of his 1977 autobiography summed up the world's opinion of this engaging, capacious talent: Dear Me. Sunshine Sally and Peter Ustinov don't like the scene anyhow. I dropped acid on a Saturday night just to see what the fuss was about. He was a man for all seasons, perhaps the true renaissance man. I quite like talking myself, but when Peter was in the room there wasn't much point, you just had to listen. He was unimaginably, overwhelmingly gifted. You had to imagine a cross between Dr Johnson, Isaiah Berlin, Peter Sellers and don't forget Charlie Chaplin — because Peter was a great mime too. … He was inexhaustible. It was like talking to Europe, talking to history. I think he'd just get bored doing one thing. He would go from one thing to another I think because to him it was all one. That's what I loved about him. He was a very lovable man. I hardly knew him, I only met him two or three times, but each time was ingrained in my memory like being like some superb intellectual circus. The day had to come when he'd be gone. Thank God it was a long time coming. But he's a big thing to do without. He would always see the bright side of something, even something that would be very annoying to him or to all of us around him. He would get over it and he would always find that there was something positive to be gained from it. He was a giver, throughout everything, and a wonderful warm person. Jack of all trades, master of none — but what a jack! … In the end he was a disappointed man … He wanted to be a great playwright or a great author. He never quite made that. He had an extraordinarily varied career. He had enough careers for about six other men. 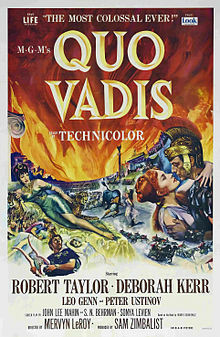 He was an actor, director, writer, screenwriter, novelist, playwright, did all that work for the United Nations as well. … He always said that he acted for a living and wrote because he must, but I am convinced that he also performed because he must. He was one of the great story tellers of modern times. The biggest shame is that we have so few people left these days who really tell stories. 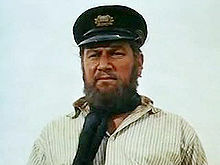 Peter's most outstanding achievement was to be Peter Ustinov … and he was an all-round wonderful person. I'm very glad to have known him, I shall miss him greatly. Peter Ustinov meets Fyodor Dostoyevsky in "Russia"